The new XFR series zero-turn mowers take performance, productivity, and comfort to the next level. 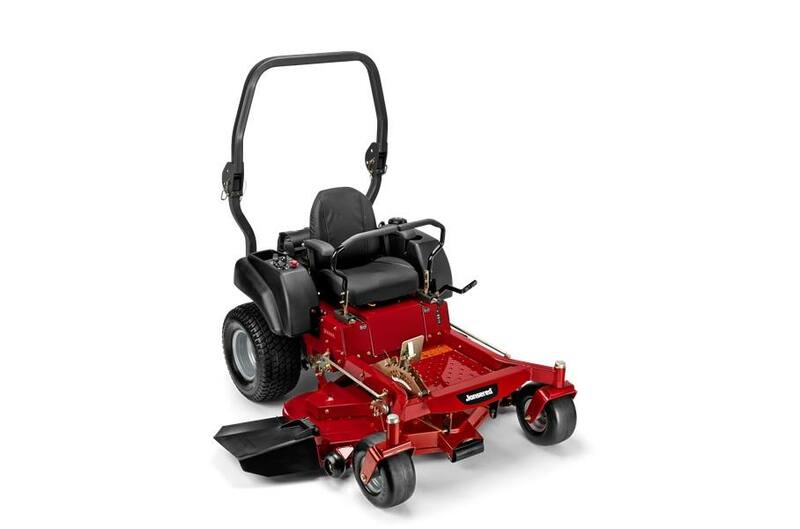 The intuitive operator interface, heavy-duty steel frame and upgraded ZT-3400 commercial hydraulic drive system with 23" rear wheels create the ultimate mowing experience. With a rugged fabricated steel deck that is mulch and collection capable, the XFR series is practical for all of your property maintenance needs. The high back seat with armrests and adjustable ergonomic steering levers will provide a comfortable ride time after time, while standard Roll over protection gives added peace of mind. Commercial Duty Casters: The commercial duty caster assemblies feature tapered roller bearing construction and wide 6" tires for extended durability. Cast Iron Spindle Housings: Cast iron blade housings built for durability and featuring ball bearing construction.